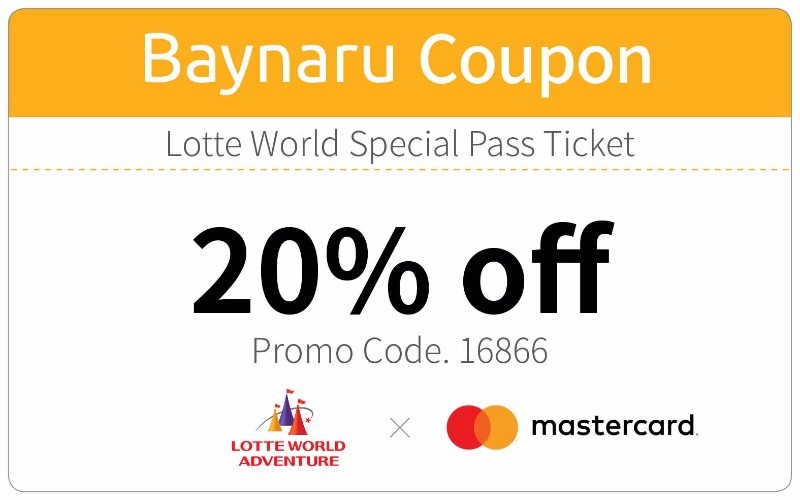 Get ready for a day of adventure at Lotte World with 25% off on Lotte World Free Pass tickets. “Adventure,” indoor park, and “Magic Island,” outdoor park, including various rides, a large ice rink, performances, and four different types of parades in each year that you will enjoy and get romantic mood. Not only that, Lotte World is connected to an indoor Korean folk museum, featuring Korean traditional culture and histories. 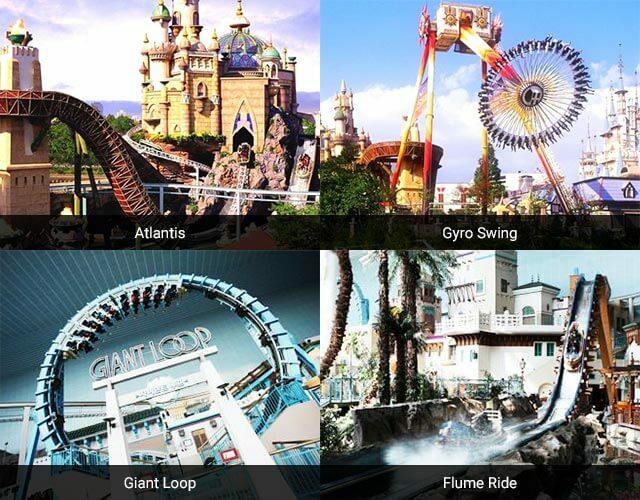 Lotte World is also a very popular venue for filming Korean entertainment shows and dramas. Some of the examples are Full House and Stairs of Heaven, popular TV drama. You can receive 20% discount with the Mastercard and coupon image below when you purchase on site. And 25% discount with advanced purchase through Baynaru online page. Lotte World Adventure was awesome!!! As my 2nd day of Seoul, me and my friends had a great time in Lotte world. Lotte world is the indoor amusement park, so I recommend it will be good for people to enjoy at Lotte world even for a rainy day. We really really had fun in Lotte cause there are plenty of rides, which were so exciting. Thanks to Baynaru, we got discount 20% of one-day Free Pass Ticket! So we paid just 44000 korean won and then we could enjoyed our time with the ticket till closed time. Thank you for giving the coupon!